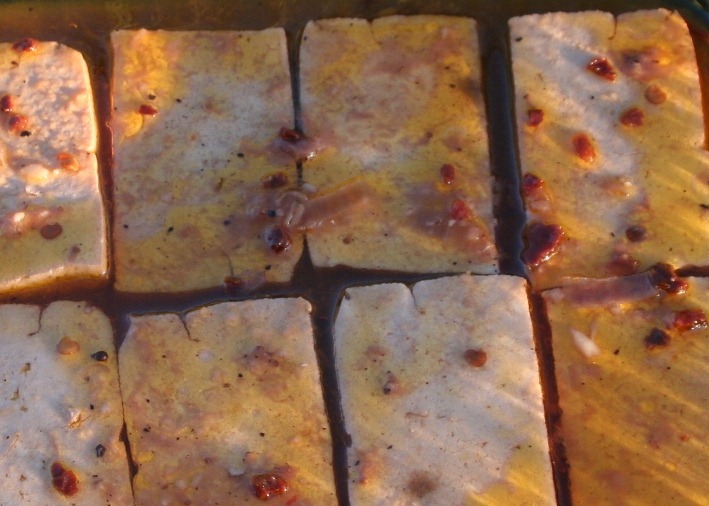 Years ago I was making a tofu dish that required draining the tofu. The block of tofu sat on a slanted cutting board in the sink. I got busy doing other chores and when I came back to the kitchen I found the tofu missing. I asked John if he knew what had happened to it. He replied, “Oh that’s what that was…I thought it was a sponge so I used it. Boy, does it make a lousy sponge.” Dinner consisted of popcorn and a big glass of wine that night. Nothing wrong with that. Tofu by itself has absolutely no taste. I say this as a person who actually likes tofu. It is just a carrier for sauces and marinades. 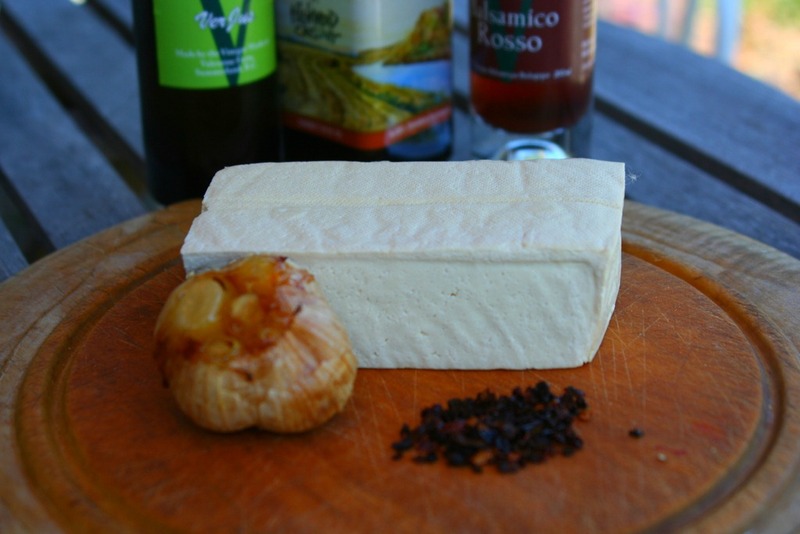 This being the case, the sauces or marinades need to have a lot of flavour or eating tofu is like eating an eraser. I usually prepare the marinade the day before I need it so the tofu can marinate over night capturing all the flavour it can. I no longer drain my tofu as the brand I use is not only organic but firm. I simply wrap it in a towel and gently squeeze out any moisture. This is a very simple marinade and it is only a guideline. If you don’t have dried chipotle peppers, use the chillies you do have. No verjus…use wine. No raspberry jam…use strawberry. Add soy sauce. Make it your marinade. Salsa verde is simply a green salsa or green sauce. 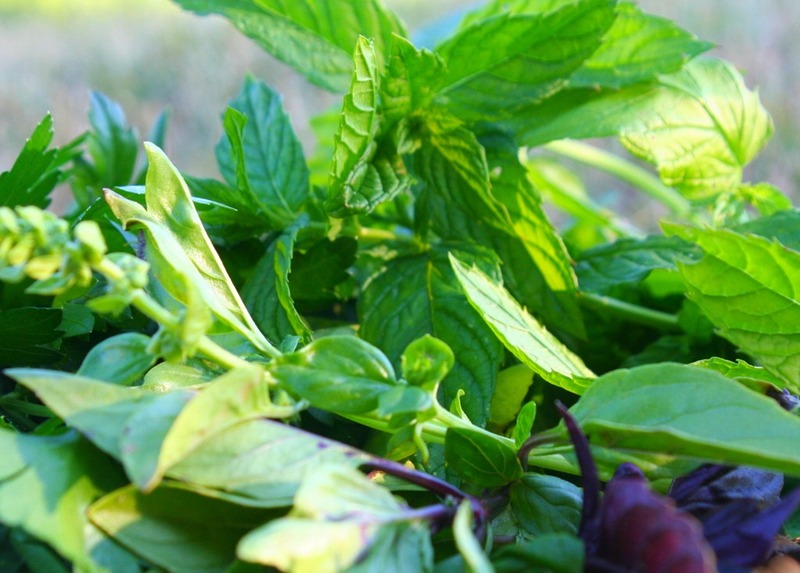 Salsa verde can be made with tomatillos, coriander, onions; lemon zest, garlic, parsley; borage, sorrel, mint, basil, anchovies. There are many, many variations of green sauces. The one presented here showcases herbs that I have in the garden at this moment. Although I picked borage I forgot to add it to the mix and found it limp and languishing on the counter after dinner. Oh well. 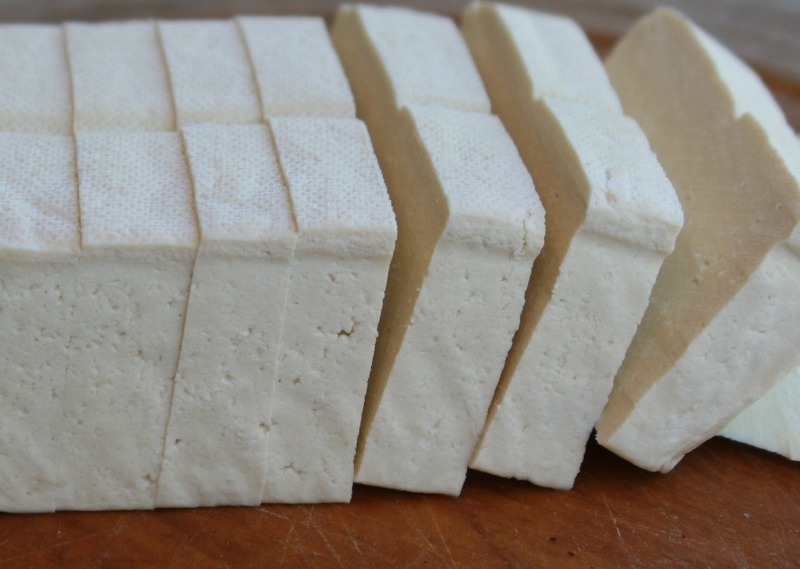 Tofu (350 grams or 12 ounces). 1. Slowly heat oil and chipotle peppers to infuse oil. 3. Slice tofu in one inch slices. Put sliced tofu in a dish large enough to hold in a single layer. 4. Pour hot marinade over tofu and let marinate over night. Turn at least once. 5. 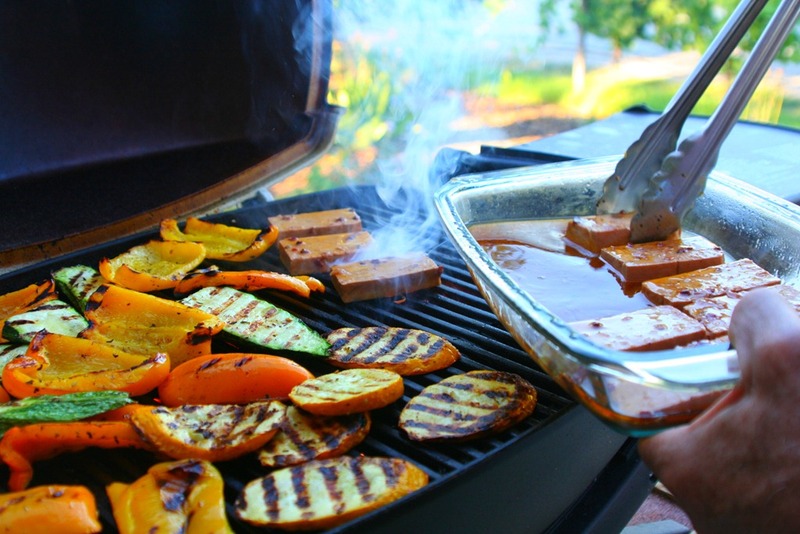 Heat grill to 300 F and lay tofu on grill at an angle to get grill marks. 6. 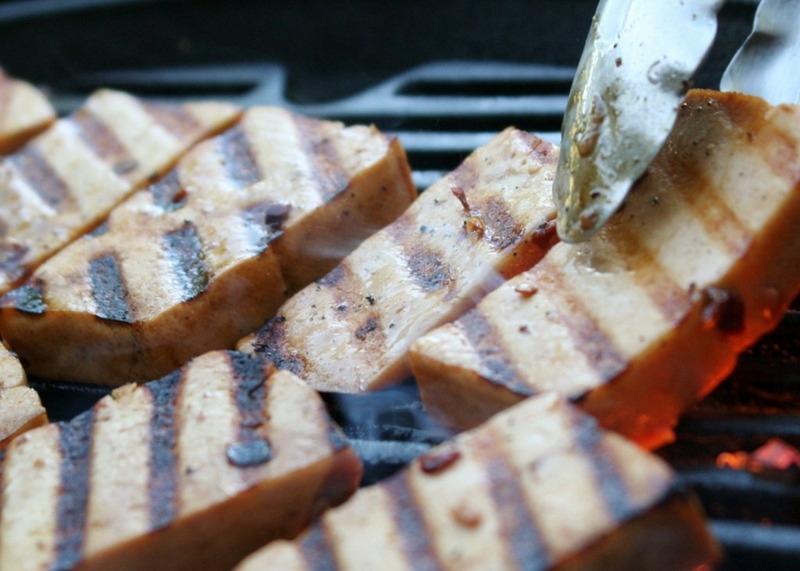 Turn tofu after 2 minutes or when you have achieved nice looking grill marks. Grill for a further 2 minutes. 7. 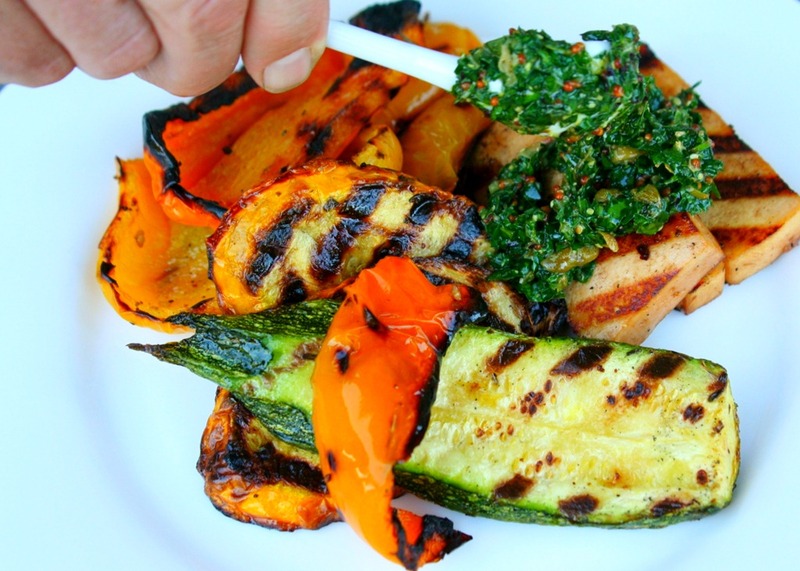 Serve with salsa verde. 1. Chop parsley, basil and mint. Put in a small bowl. 2. Stir in pressed garlic, capers, tarragon vinegar, mustard. 3. Slowly whisk in olive oil. 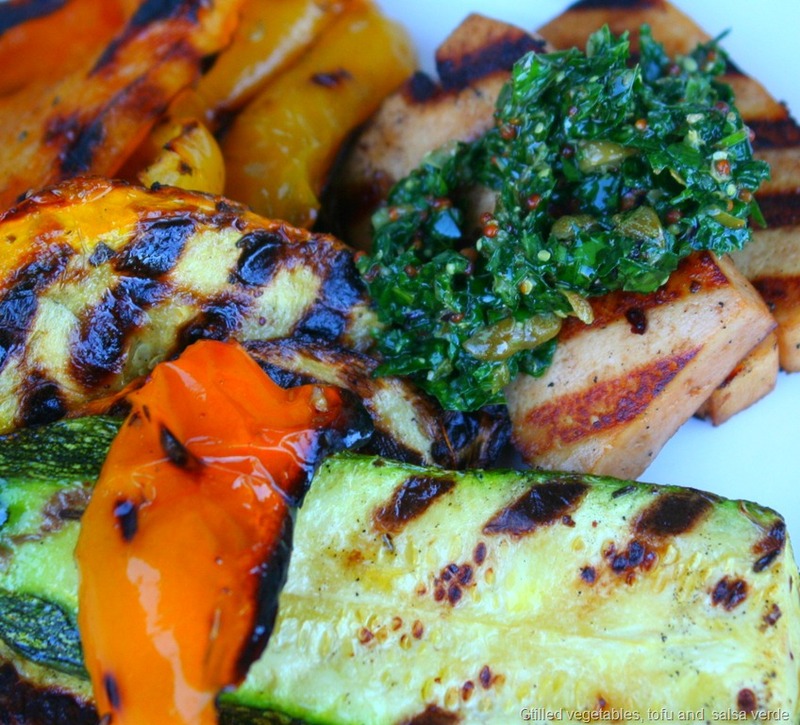 Other than marinating the tofu, this meal takes only minutes to make and will satisfy the veggiehovians in your midst.